On New Year’s Eve, 1954, I was en route with my parents to Texas where my father had been given a new duty posting with the Air Force. On the 31st of December, we were in Los Angeles, and looking for someplace to eat. My Mom told me about this place called the Brown Derby and we spent a good part of the early evening looking for it. Alas, it was never found. 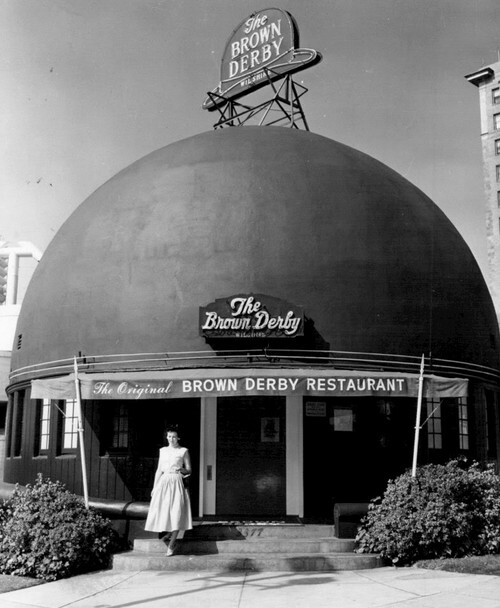 The original Brown Derby opened on Valentine’s Day of either 1926 or 1929 (accounts differ) and moved one block away in 1937. Apart from the gimmick of the name and a reputation for pretty good food, they had two things going for them. 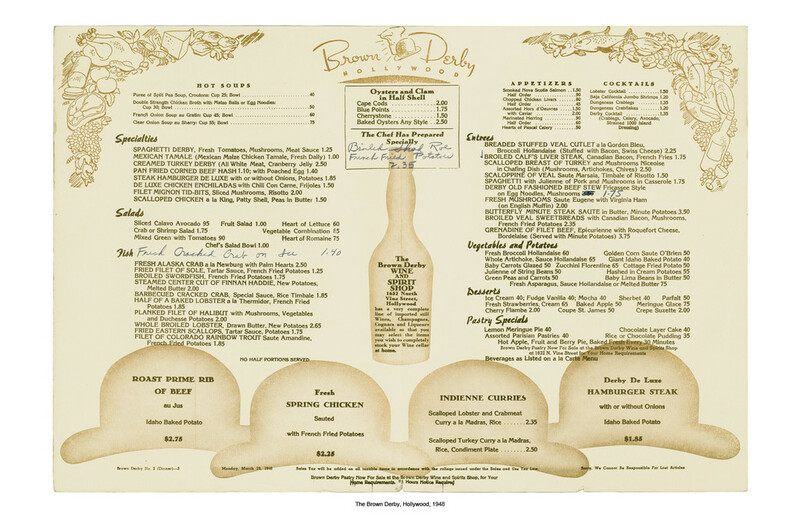 One was the Cobb Salad, which was allegedly invented at the Brown Derby, which was owned by the Cobb family. The other big attraction was that this was the place where the stars ate, and that, more than anything else, was the main reason I wanted to go there. Can remember who I was hoping to see now, but it was probably some cowboy star, like John Wayne or similar.